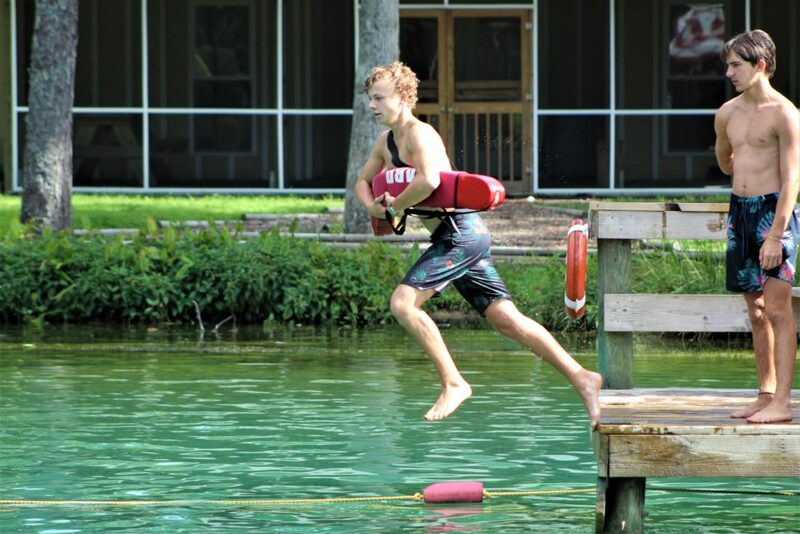 The Leader-in-Training (LIT) program is different from any other program offered at Camp Don Lee. Each applicant must fill out the entire LIT application and provide three references. In 2019 there will be two sessions for the LIT program. Each applicant will be able to declare their first preference and to answer if they are available for either session. Program dates will be filled to put together the best possible groups. at summer camps, in their schools, churches, and ultimately for life. Leader In Training (LIT) is a four-week, intensive leadership program for high school aged youth who are ready for a highly challenging and deeply rewarding experience. Objectives of the program include personal faith development, leadership growth and experience, and a deeper knowledge of outdoor skills. These skills include sailing, canoeing, kayaking, archery, challenge course and outdoor camping facilitation. In addition, LITs will develop a greater understanding of worship, leading creative arts and childhood development. The outstanding reputation of this program is known throughout the region. Employers, colleges and scholarship selection committees have viewed this program very favorably over the years. The LIT program prepares youth for leadership in their schools, churches and communities as well as camp. Many of the young people who complete the program regard it as a faith-enriching and life-changing experience. These certifications can prepare the candidates for jobs at summer camps or other organizations and facilities. "It is absolutely wonderful how the LIT program has changed my two daughters’ lives for the better. The sense of accomplishment and confidence that my daughters gained from this program is immeasurable. They fell in love with their groups and formed a bond with 16 others that is unlike anything they had ever experienced." "It’s the qualities of the program that you can’t quantify that really sets LITs apart. It’s the leadership abilities that they acquire and harness. 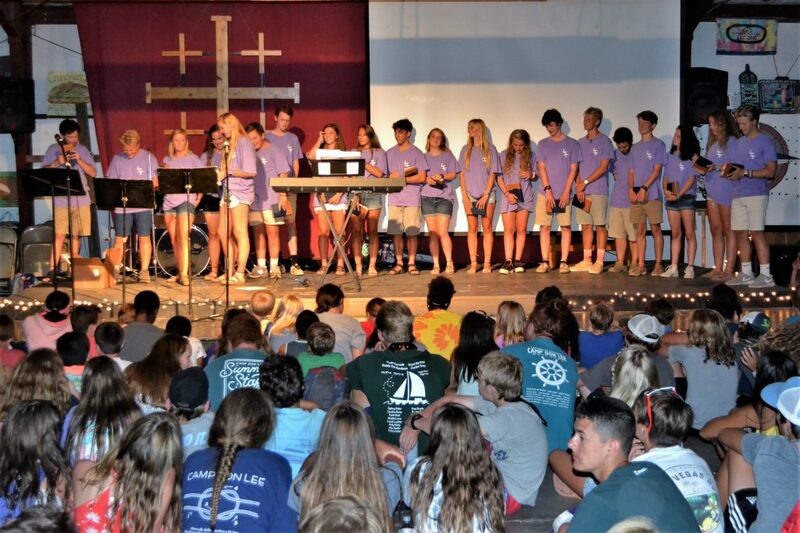 The level of maturity and self-awareness that they possess at the end of the program goes miles above what they might have learned as a camper… They’re entering into a guild of leaders that has been carried on since 1979." "Camp Don Lee offers possibilities for leadership unavailable in the traditional school setting. At the end of four weeks, every participant in the program has transformed. LITs are better prepared to enter the world with a new perspective of themselves and others." Anyone with an interest in an intensive leadership training program who has completed grades 10-12 may apply. Applicants must be 16 years old by the course completion dates. 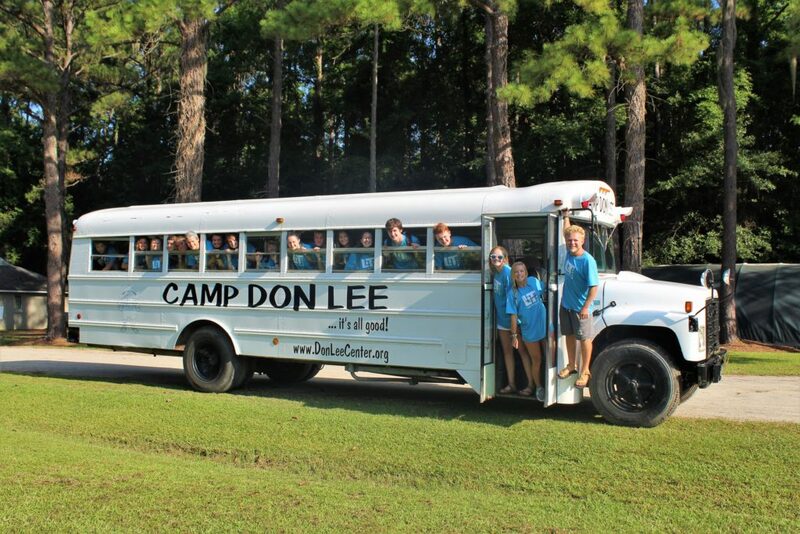 Prior camper experience at Don Lee is NOT necessary to make an application. People are selected by the leadership potential they have demonstrated in school, camp, church or in other leadership settings. Each applicant is evaluated on his/her own merit. There are a total of 32 slots available for LIT 2018. Competition is strong, so submit your application early. Early decision deadline for applications and references is October 26, 2018. For early decision, candidates will be notified by mid-November. If spaces are still available after early decision, the second deadline for applications and references will be January 11, 2019. The four week program is $3700, which includes food, lodging, certifications and overnight trips. Upon your acceptance, a $500 deposit is due to secure your slot in the program. Another $500 payment will be due by Jan. 18, 2019. A $1000 payment is due by March 1 and the balance is due by April 1, 2019. Those selected are encouraged to engage with their local churches to attempt to secure some funding. A limited amount of financial assistance is available to those with need. Please make sure to contact Kate Metts (kate@donleecenter.org) if you have any questions or to contact our business office for financial assistance (missy@donleecenter.org). Next year - 2020 - Camp Don Lee will be offering a scholarship for campers participating in the LIT program in the memory of Hannah Viall. Hannah was a former camper of Don Lee who was tragically taken from this heavenly place on February 24, 2018. Hannah had a kind, generous, and loving spirit with a smile that could light up a room. She had a way of reaching out to many people and making everyone feel loved and accepted. She loved to spread kindness throughout her community and Don Lee was a community she loved dearly. There is no better way to celebrate the life of Hannah than by providing an opportunity for campers to participate in the life changing experience of the LIT program.